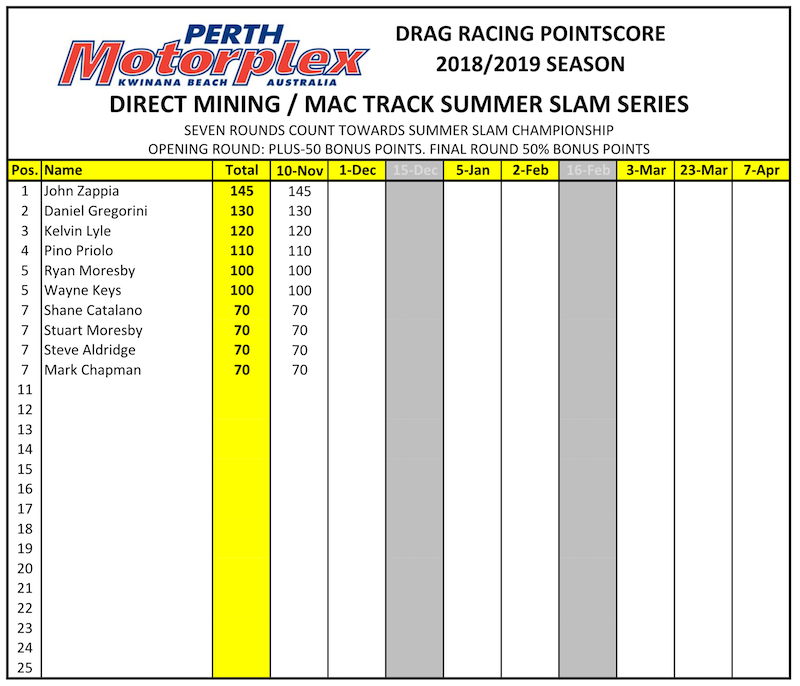 John Zappia more than made up for a forgettable Sydney trip as he blasted to the winner’s circle at Perth Motorplex during the WA Drag Racing Championships. 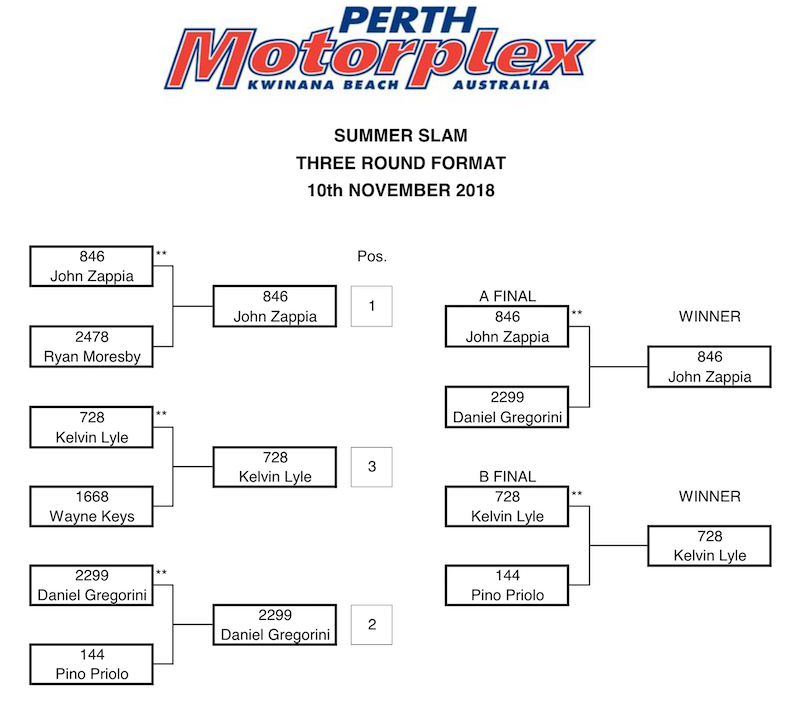 Zappia and his Fuchs/Dananni Hotshots Hotshots Monaro took out the first round of the Summer Slam, a local series for Top Doorslammers that has proved increasingly popular with competitors and attracted ten entries on the weekend. With conditions cool and the track tight, Zappia qualified on top of the field with a pedalling 5.77 before belting out a 5.664 second pass in the elimination round against Ryan Moresby’s Dananni Hotshots Ford Falcon. 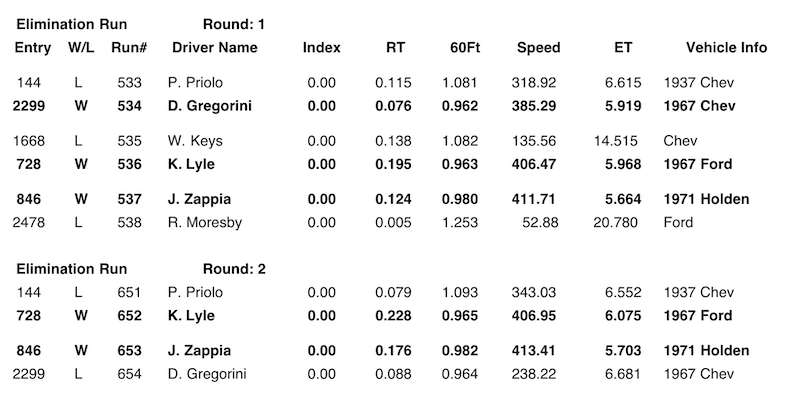 That set up a final round against Daniel Gregorini’s Camaro, where Zappia was able to clinch a 5.703 second win despite some tyre shake. “We knew the performance was there from our recent runs in Sydney,” Zappia said. “We put the Noonan engine back in and it performed flawlessly. In the final round we ran one of our best speeds ever in Perth, at 256.88mph – into a head wind! We were pretty impressed with that, as was Parry from Muscle Car Warehouse who surprised us with a visit at the track. 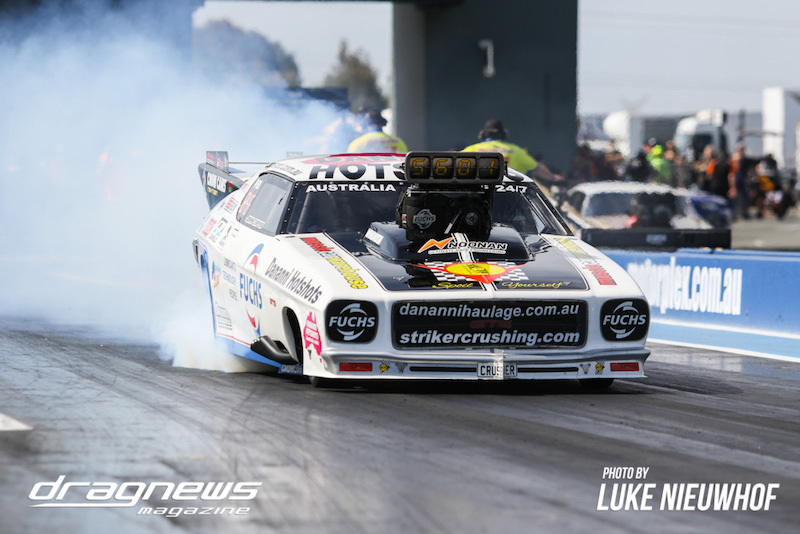 “The handling has been a lot straighter, making the Fuchs/Dananni Hotshots Monaro a lot easier to drive, and we keep it away from the centre line or the walls. Though pleased with the times on the readout boards, Zappia said his home track still holds some secrets. “It appeared to get better with more laps on it and we were probably a little soft with the clutch for the final,” he said. “We’ve still got a bit more to work out with the Perth track. The track is only going to get better with more events and given we were able to run 5.66 at the first event of the season, there is a lot of potential for quick passes during the season.